Just in time for Christmas! 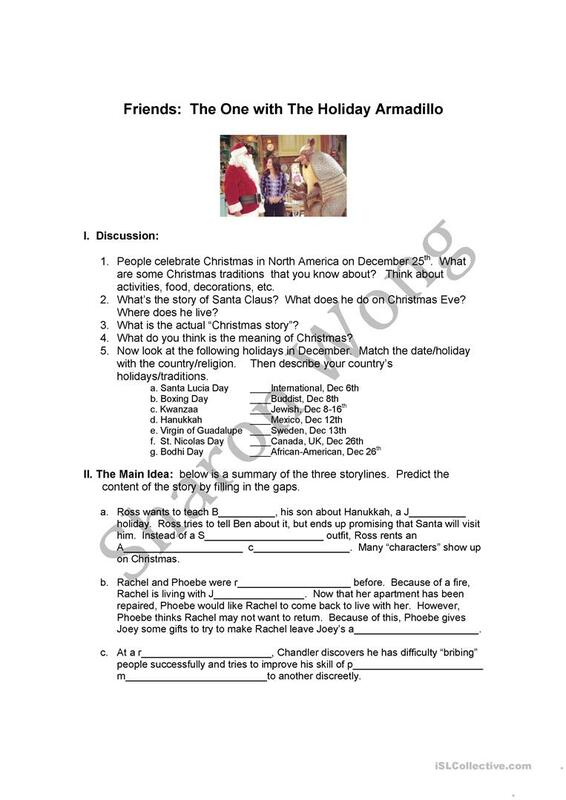 Discussion of Christmas and other December holidays, followed by a summary/detailed listening exercise. Students learn useful phrasal verbs and ultimately use them in a role-play. I usually spend an hour a day for a week on this kind of lesson. Answer Key provided. Enjoy! 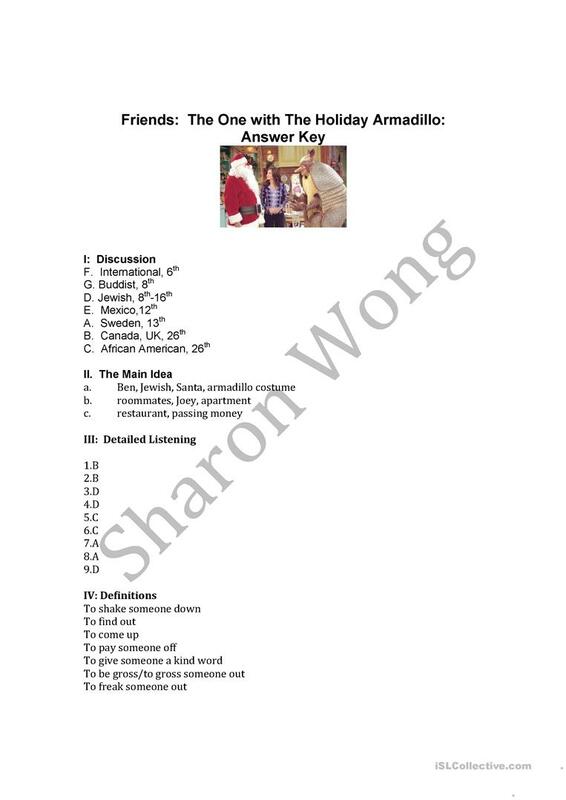 The present downloadable handout was created for high school students and adults at Intermediate (B1) and Upper-intermediate (B2) level. It is a valuable material for honing your class' Listening, Speaking and Writing skills. The exercises come with a key. I've been a teacher for the past 20 years and enjoy teaching adults using a variety of media resources. 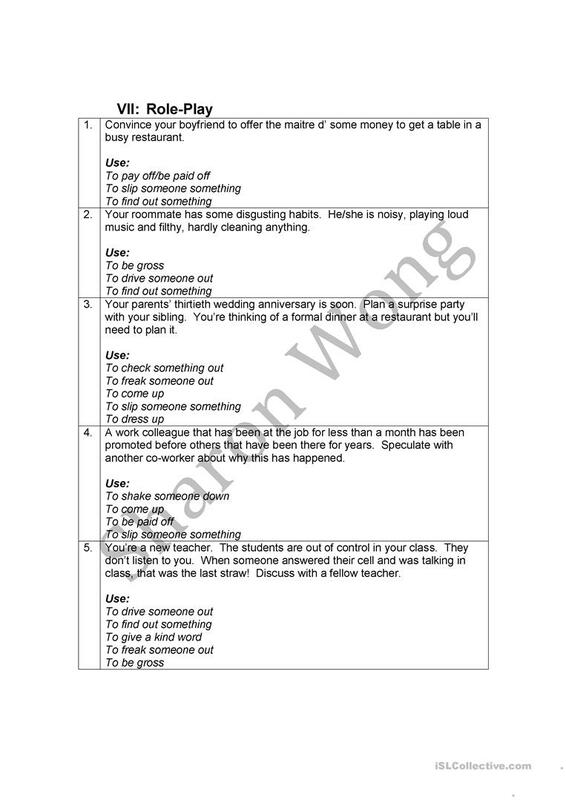 Lately I have been in a managerial role, still teach the odd time but would like to share my past worksheets. Enjoy!